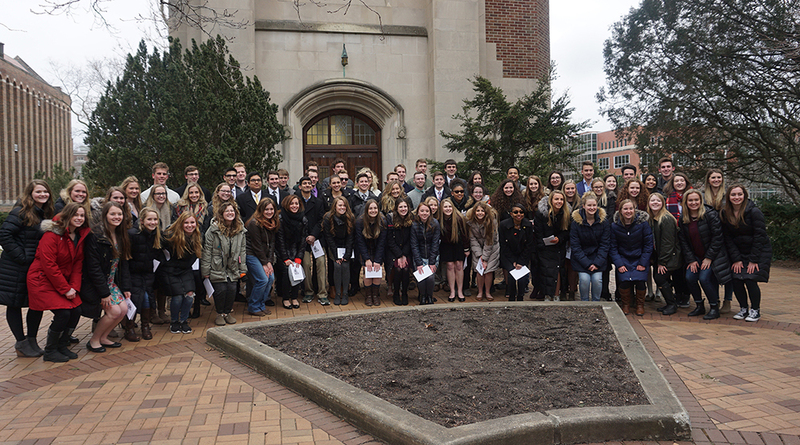 Every spring, a select group of about 80 students are chosen from the top five percent of the MSU freshman class to carry on the tradition of assisting MSU students with disabilities through their involvement with Tower Guard, a sophomore honorary and service society. Members are chosen based on strong character, leadership, and academic excellence. Founded in 1932 by May Shaw (MSU First Lady) and officially named Tower Guard in 1934, Tower Guard is the oldest continuously active MSU-based student organization on campus. Its members’ main function is to complete 120 hours of volunteer service in the academic year, assisting MSU students who are visually impaired or have another reading-related impairment. Their time is spent reading exams and/or translating textbooks and other print materials into an accessible format through their partnership with the MSU Resource Center for Persons with Disabilities (RCPD). Through the ceremony known as May Morning Sing, the group upholds the tradition of gathering incoming members and their families at Beaumont Tower in the early morning for a surprise induction ceremony. This year, the May Morning Sing took place on a chilly morning in April. Tyler Dubois, a Mechanical Engineering major, was the 2017-18 Tower Guard President, leading the group along with the Executive Board of 11 other sophomores. 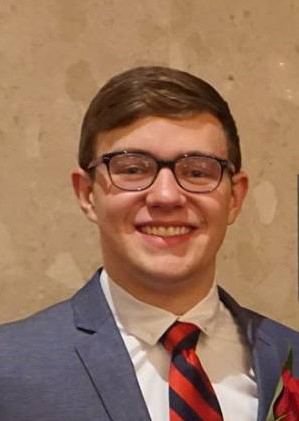 He was pleasantly surprised to be inducted in the Guard, “due to the high quality of applicants that are invited.” Even so, Tyler was motivated to take on a large role with the organization, and greatly enjoyed his time on the board, as they grew together in vision and leadership, and planned social and fundraising events. Over time, they figured out what they needed to accomplish and worked with RCPD staff to ensure Tower Guard was meeting standards.